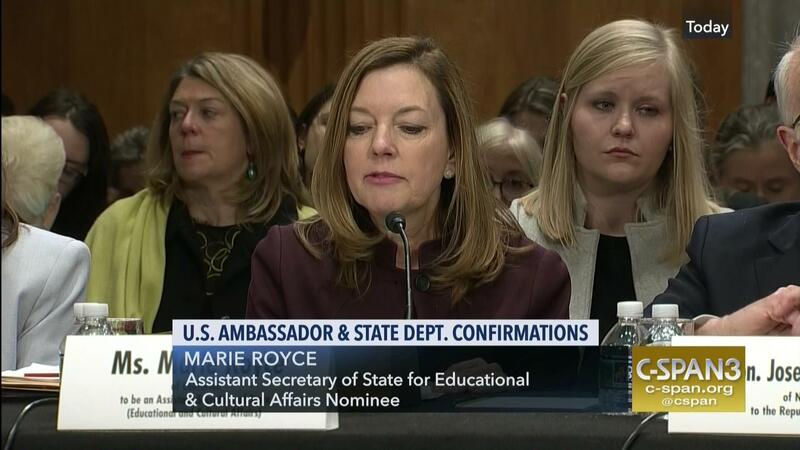 Marie Royce will be tasked with leading the State Department’s exchange programmes, including J-1 exchanges. Royce will lead the State Department’s exchange programmes, including the J-1 EVP. Read more from Mark Overmann on what he believes the cultural exchange community can expect from Marie Royce, based on her resume and testimony. Royce also served as a Trustee of Meridian International and was the recipient of the American Women for International Understanding (AWIU) “Internationalism Award” in 2013. “If confirmed, I would aim to strengthen our people-to-people ties even further. I am honored to be appointed to this important position, and I will focus all my efforts on improving the vital mission of these programs,” Royce said in her statement to the confirmation committee. Delegates to the 2018 WETM-IAC in Seville on 17-19 March will have the opportunity to receive the latest updates from representatives of the US Department of State. Branch Chief Darra Dirska and Program Analyst Stacey Gomelsky will speak on on summer work and travel, internship, trainee and au pair programmes and regulations of the J-1 Visa Exchange Visitor Program.